Visiting Liverpool and seeking for a place to swim? Nice option! Don't forget to tell us how did it go. 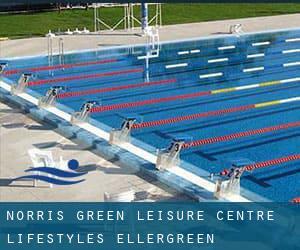 Introducing now Norris Green Leisure Centre / Lifestyles Ellergreen swimming pool, a great swimming pool sent by a swimmer like you couple of days ago. Have you visit this pool? Do you function here? Please, make contact with us if you have information that you believe is gonna be useful and bear in mind from now on you can now promote each and every pool just by sharing this page together with your pals or adding comments in the Facebook boxes below. Come on and help this pool to be the very first in Liverpool! Among all of the activities supplied by the centre, if you are thinking about swimming you will appreciate 25 meters, 4 lanes, Indoors. Just in case you want to contact this Pool before dropping by, we only know the phone number. Write down the GPS coordinates we have on our file for this Pool, so you can enter them into your GPS to assist you locate the Aquatic Centre easily. If you believe that any from the information is incorrect, please make contact with us. Help us be better day-by-day. Wellington Road , Wavertree , Liverpool , England , UNITED KINGDOM (Postal Code: L15 4LE). This great and large sports centre lets professional swimmers like you enjoy Olympic size, 8 lanes, Indoors. Additionally, within these facilities you can try 20 meters, Indoors. Unfortunately we do not have the email address of this Swimming Pool, but we can give you the phone number. Bankfield Road , Liverpool , England , UNITED KINGDOM (Postal Code: L13 0BQ). Swimmers like you reported 25 meters x 10 meters, 1.8 meters maximum depth, 1.8 meters maximum depth, Indoors. Unfortunately we do not have the e-mail address of this Pool, but we can give you the phone number. Washington Parade , Bootle , Liverpool , England , UNITED KINGDOM (Postal Code: L20 5JJ). Swimmers like you reported 25 meters, 6 lanes, Indoors. Phone number and email address are number for this Swimming Pool. Great Homer Street , Everton , Liverpool , England , UNITED KINGDOM (Postal Code: L 5 5EP). This sports centre provides 25 meters, 8 lanes, Indoors. For this Swimming Pool, only phone number is number here. Updated on 2019 Peach Street , Liverpool , England , UNITED KINGDOM (Postal Code: L69 3BX). Swimmers like you reported 33 meters x 14.75 meters, 6 lanes, Indoors. Unfortunately we do not have the email address of this Swimming Pool, but we can give you the phone number. North Parade , Liverpool , England , UNITED KINGDOM (Postal Code: L24 2SD). Among all of the activities provided by the centre, if you are interested in swimming you will appreciate 25 meters, 6 lanes, Indoors. Just in case you need to contact this Swimming Pool before dropping by, we only know the phone number. Updated on 2019 Speke Road , Garston , Liverpool , England , UNITED KINGDOM (Postal Code: L19 6PE). Among all of the activities offered by the centre, in case you are interested in swimming you can take pleasure in 25 meters, 5 lanes, Indoors. Just in case you want to contact this Swimming Pool prior to dropping by, we only know the phone number. 88 Rose Lane , Mossley Hill , Liverpool , England , UNITED KINGDOM (Postal Code: L18 8AG). Swimmers like you reported 18 meters x 7.5 meters, Indoors. Phone number and email address are number for this Swimming Pool. Quarry Street , Woolton , Liverpool , England , UNITED KINGDOM (Postal Code: L25 7RS). This sports centre gives 18 meters, Indoors. For this Swimming Pool, only phone number is number here. 1 Walton Village , Walton , Liverpool , England , UNITED KINGDOM (Postal Code: L 4 5SD). Swimmers like you reported 25 yards, 4 lanes, Indoors. Unfortunately we do not have the e-mail address of this Swimming Pool, but we can provide you with the phone number. Baileys Lane , Halewood , Liverpool , England , UNITED KINGDOM (Postal Code: L26 0TY). Among all the activities offered by the centre, if you're thinking about swimming you can expect to enjoy 25 meters x 16 meters, Indoors. If you need to make contact with this Pool, email address and phone number are both number. Cherryfield Drive , Kirkby , Liverpool , England , UNITED KINGDOM (Postal Code: L32 8SA). Among all the activities provided by the centre, for anyone who is considering swimming you will enjoy 25 meters x 12.5 meters, 6 lanes, 1 meters - 3 meters depth, 1 meters - 3 meters depth, Indoors. If it is advisable to contact this Pool, email address and phone number are both number. Longview Drive , Huyton , Liverpool , England , UNITED KINGDOM (Postal Code: L36 6EG). Swimmers like you have reported 25 meters, 8 lanes, Indoors. Also, you will find 25 meters, 4 lanes, Indoors. Just in case you would like to contact this Pool before dropping by, we only know the phone number. 6 The Aerodrome , Speke , Liverpool , England , UNITED KINGDOM (Postal Code: L24 8QD). Among all the activities offered by the centre, if you are keen on swimming you'll appreciate 25 meters x 12 meters, Indoors. Just in case you need to get in touch with this Swimming Pool just before dropping by, we only know the phone number. Mariners Road , Crosby , Liverpool , England , UNITED KINGDOM (Postal Code: L23 6SX). Swimmers like you reported 25 meters x 13 meters, 6 lanes, Indoors. Unfortunately we do not have the email address of this Swimming Pool, but we can give you the phone number.